While living in Kenya, I followed a user-centric design process to identify pain points of local residents. Then I used my engineering skills and a diverge/converge design process to come up with solutions and share them with the locals. The result was a peanut sheller for the local community, a children's program, lessons in turning corn cobs into charcoal, and a couple of newly-minted entrepreneurs. Any good ethnography starts with deep observation: hold your judgements, get involved as much as you can, and take lots of notes. Most importantly, save your ideas for later and focus on observing. 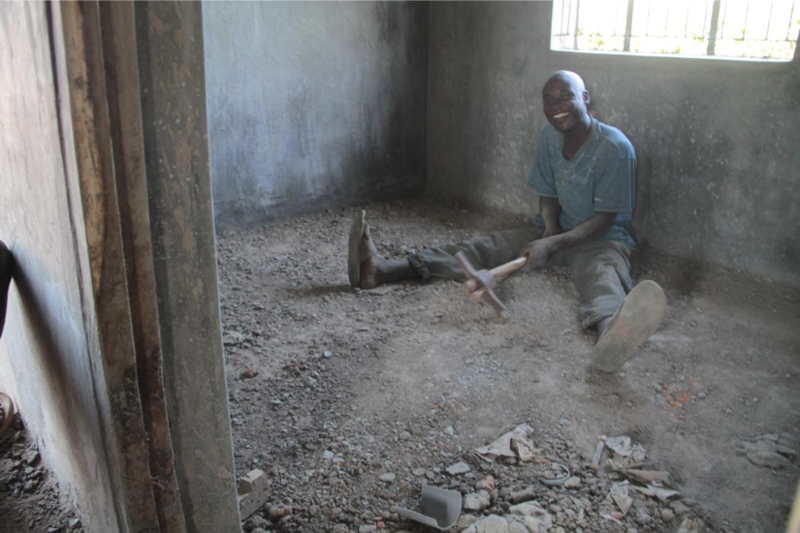 My observation period took me through and past the daily tasks of life: carrying water, cooking food, grocery shopping, doing laundry, battling with stomach illnesses.. but also to construction sites and into gold mines and police-bribing matatus. 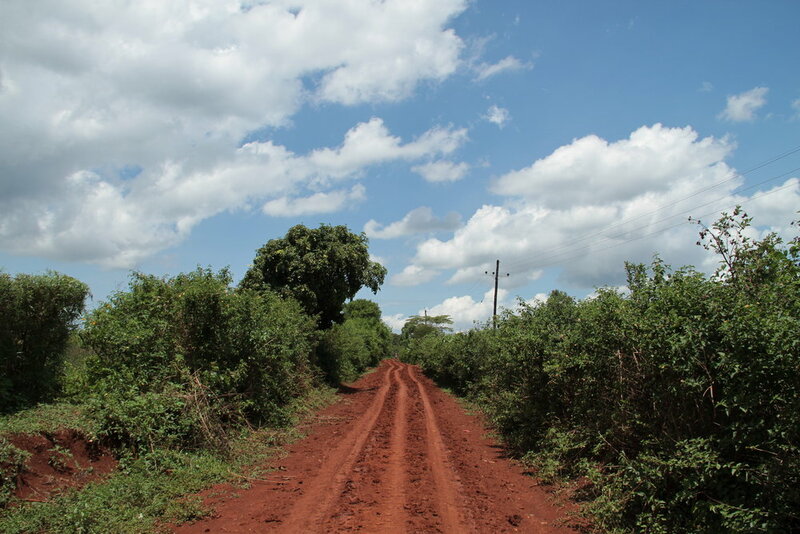 Through these experiences, I gathered the context that would inform my projects during my 3 months in Kenya. The staggering amount of pain points is both one of the most exciting and challenging parts of working in a developing country. There are so many opportunities to help people and make life better, but often limited time and resources. Given my own limited time and resources, I had to narrow down to a few key problems I thought I could tackle in a now 2.5 month window. My approach: leverage already-developed technologies, work off the shoulders of giants, and seek out community partnerships to maximize impact. 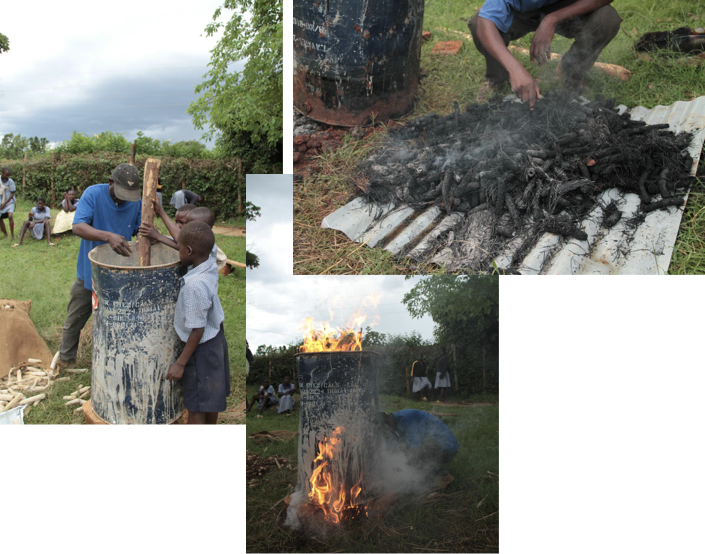 Charcoal from Maize Cobs. I had seen this in action before at the D-Lab, and it was obvious that firewood was a constrained resource here. 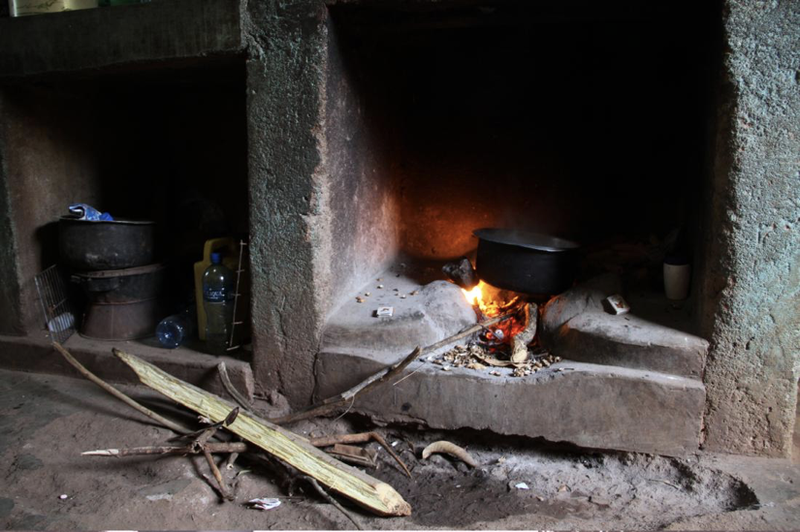 The kitchen was a smoky place to be, charcoal too expensive for most families to buy, and corn cobs were plenty as corn is a food staple in Kenya. The context for this one made it very promising. Peanut Sheller. While the original sheller mold cost more than $500 - prohibitively expensive - I found an individual on Instructables that had DIY-made his own. The loose instructions seemed promising enough that I'd be able to replicate. I thought I could make it for < $20 locally and open-source the plans; making it affordable and enabling others to innovate on my designs. ICE Program for Kids - "ICE" - "Innovation, Creativity, Entrepreneurship". Empower kids to be creative and break past their rigid school system that solved problems with beatings. ICE Program for Entrepreneurs - Similarly, empower adults to improve their livelihood via income-generating activities like raising chickens or more efficient farming practices. A summary of each is included below, and I'm happy to talk about any of them in greater detail. 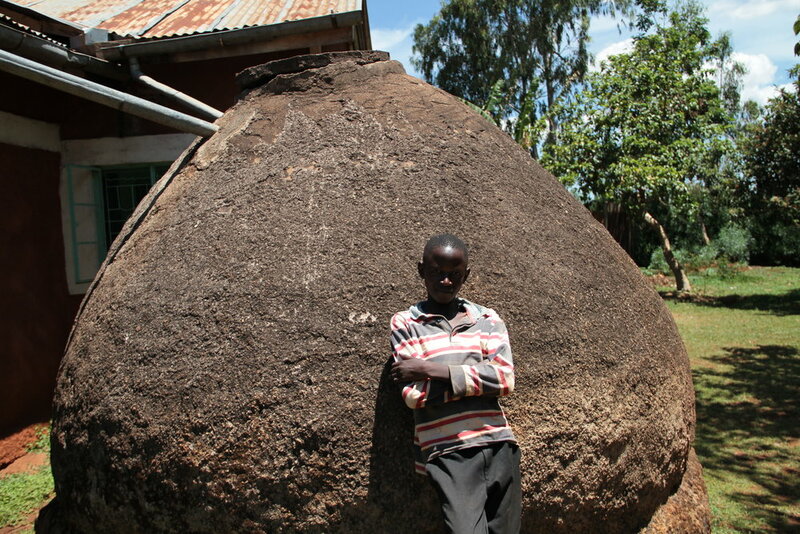 Problem: The school system in Kenya is extremely rigid and structured. There is not a lot of room for creativity and entrepreneurship amidst the focus on traditional maths and sciences, and any mistake is reinforced with a hard caning - discouraging kids from taking risks or trying something new. Insight: Kids who aren't afraid to break the status-quo can be change-agents for their community. They can help break out of bad cultural traditions and go on to become entrepreneurs and help lift their community out of poverty. They just need some inspiration to do so. Approach: Create a place for kids to come, play, have fun, and express their creativity. Cultivate an atmosphere of "its okay to try" by providing opportunities for creating and reinforcing effort with positive affirmation and community support - teaching kids it's the effort that counts, and trying/failing is okay. When it came time to make the clay - we all got our hands dirty! We had > 80 kids show up! Outcome: 80+ smiling faces, 200+ clay toys made, some bumps & bruises, friendships made, and a lifted spirit in the community. Problem: Lack of access to skills training and start-up capital prevents capable, smart, hardworking locals from adding extra value to their community. Insight: Communities lift themselves out of poverty when their members go above and beyond and create extra value. Whether it's harvesting more water to use in the dry season, providing more nutrition via raising chickens/goats/livestock, or filling a local need - entrepreneurship is a major force for stability & growth in a community. 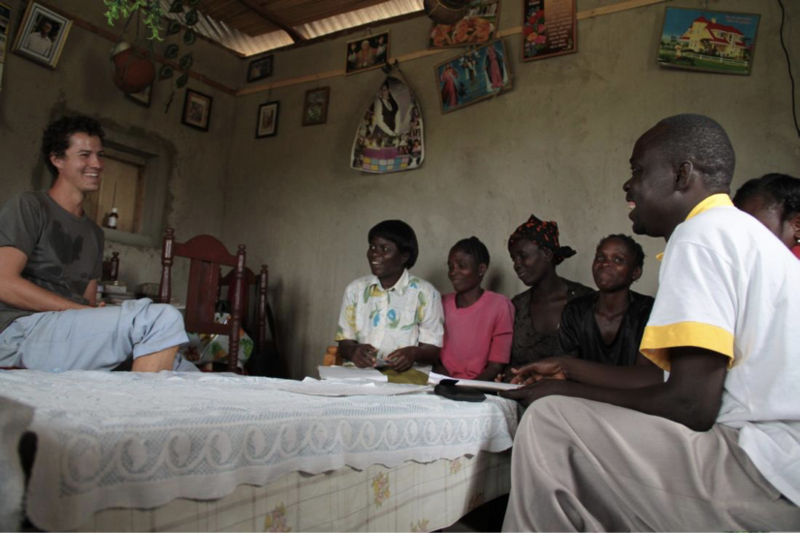 Approach: Identify "lead" users in the community who want to improve their livelihood. Work with them to explore a need they see (Moses - photography), and adapt techniques that have worked in other communities for their own (Adriana - raising chickens). Provide skills training and start-up capital via micro-loans. Later, as these individuals succeed and become role models, they can inspire and educate/provide capital for others. Works as a gardener at the local development center, but has medical bills and a young son to take care of. He sees a need for a special-events photographer in the community: the nearest other photographer is 20 miles away. But he doesn't have the skills in how to do it, nor is able to save up enough to afford the film + a camera to get started. 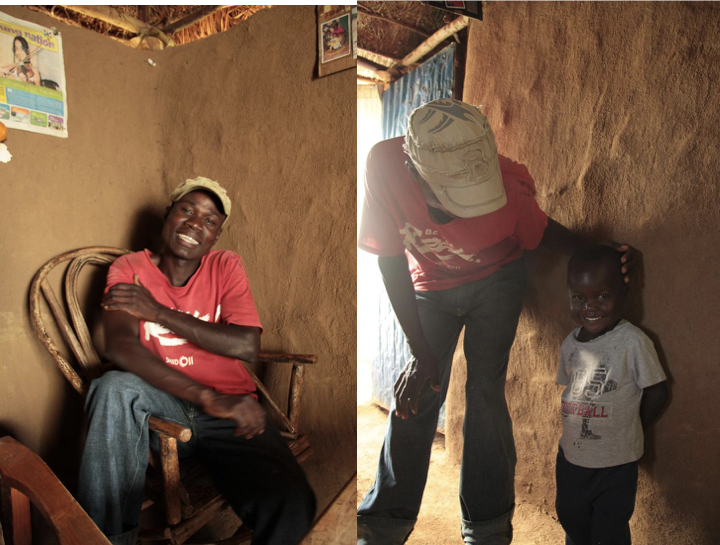 I helped him secure a camera and film via a micro-loan and taught him basic photography principles, and how to use the computer and google to continue his learning. Is a single mother who lost her husband to HIV/AIDS. She works cleaning houses and cooking for visitors and the wealthier residents in the community. She has trouble buying enough food feed her family, and is motivated to make sure her kids have enough to eat. I connected Adriana to another successful entrepreneur who had started his own chicken business, and helped her learn the techniques for separating chicks from their mothers to encourage higher egg production. We built a coop for her hens together after securing a micro-loan to get started. Outcome: Moses started his photography business, and is slowly building a client base via discounted rates for friends & family. Adriana is balancing using the eggs her chickens produce for nutrition with letting them hatch and growing her flock of chickens, slowly taking steps to a more secure food future for her family. Problem: Shelling peanuts by hand is hard. It's a time-intensive process, and my host mama, Florence, regularly complained about the blisters it gave her to go through her thousands of peanuts after harvest. Insight: Reducing the time and painstaking process of shelling by hand can open up more time for rest and more productive activities. Approach: Leverage the ideas behind the universal nut sheller and this instructables project to design a sheller that can be manufactured locally in Kenya. 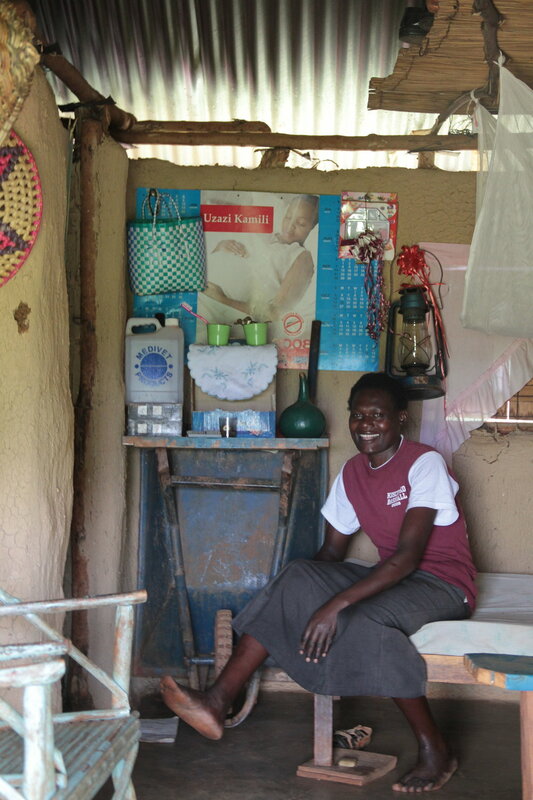 Use only locally-sourced materials and aim for a < $20 cost to make it affordable locally. Create open-source plans so it can be improved upon and replicated by other communities. I ended up using locally-sourced plastic buckets for the mold ($2), adapting the rotor shapes to be made with clay (free) and the skills of local welders to fabricate the metal parts ($8). 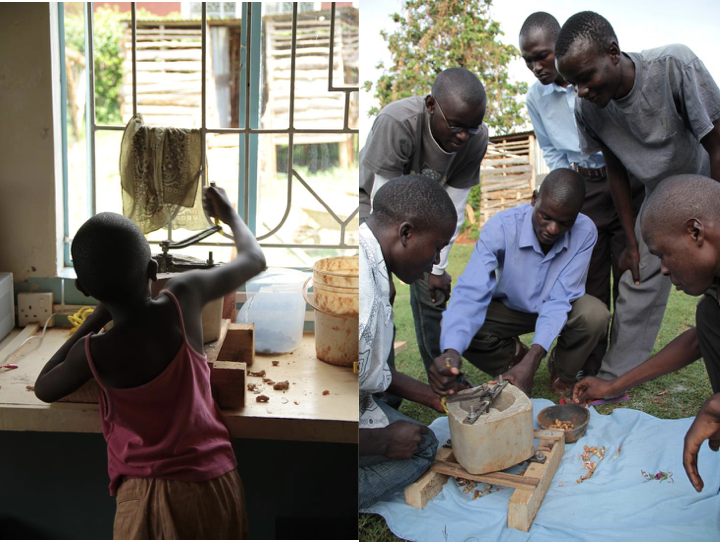 Outcome: A working peanut sheller made for < $12 and open-sourced plans. The sheller was left in the hands of a local development center to let anyone in the community use it when needed, and copies of the plans so it could be improved upon. KPIs: Peanut break rate: <20%. Cost: <$12. Current usage: unknown. Problem: Smoky indoor kitchens, growing deforestation, and a long time to gather firewood waste time and decrease quality of life for residents. Insight: With corn accounting for 60%+ of the local diet, there is an abundance of corn cobs as a raw material. Without the charcoal process, corn cobs burn quickly, but charcoal-ized, could reduce smoke in the kitchen and time spent gathering firewood. Both of these would improve quality of life and open up more time for more productive activities. 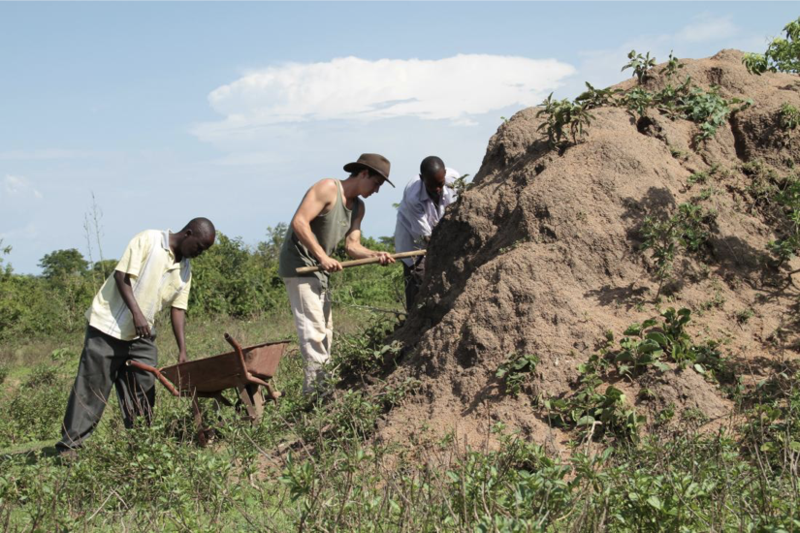 Approach: Leverage the D-Lab work large-scale, but also prototype a small-scale version of the charcoal maker. 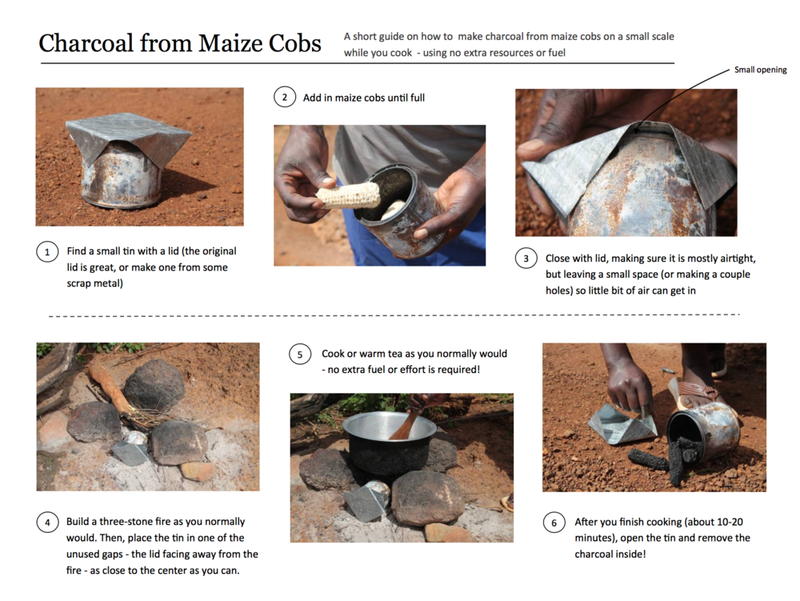 Teach locals how to use, and hand-off the large scale process to a local entrepreneur (Vincent) who could batch make + sell the corn-cob charcoal. 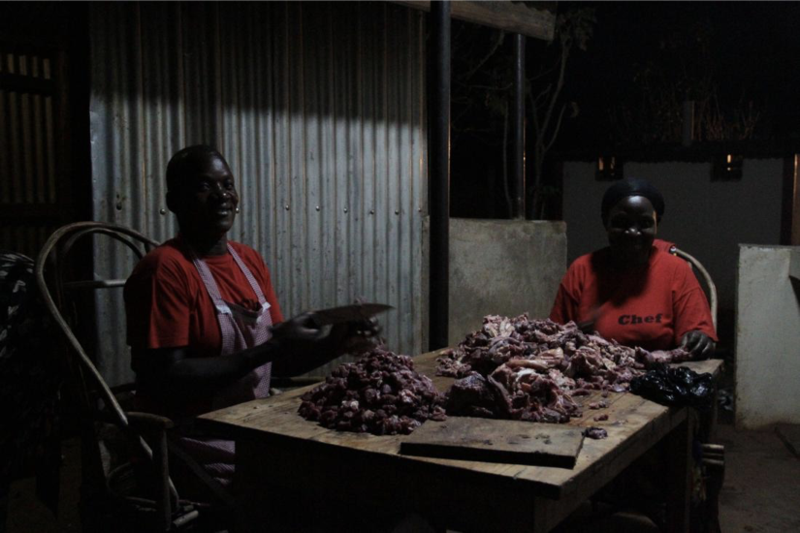 Outcome: The biggest success was the small-scale version of the charcoal process. It worked just as well as the large-scale and was a lot more accessible for families to use on a daily basis. Charcoal makes significantly less smoke than firewood and burns longer than un-charcoalized cobs, so is a win for indoor cooking. KPIs: Conversion rate of corn cob > charcoal: 90%+. Loss of corn cobs to fire: < 3%. Cost to start using: < $1. Current adoption: unknown. There are many things I took away from this project. The challenging nature of living in a foreign developing country, the incredible benefit of having partners and teammates to scale your impact, and experience with techniques that do and don't work in development. I think one of my biggest takeaways from this initiative was that things take longer than you normally think, and in any new product development, the distribution and adoption can be as time-intensive and important as the product-development process itself. I wish I could follow up and know how the projects are doing, but that was a failure and big lesson learned for me. I will certainly be embedding that into any future development project I do. If you'd like to talk more about this project, drop me a line or add your thoughts in the comments.